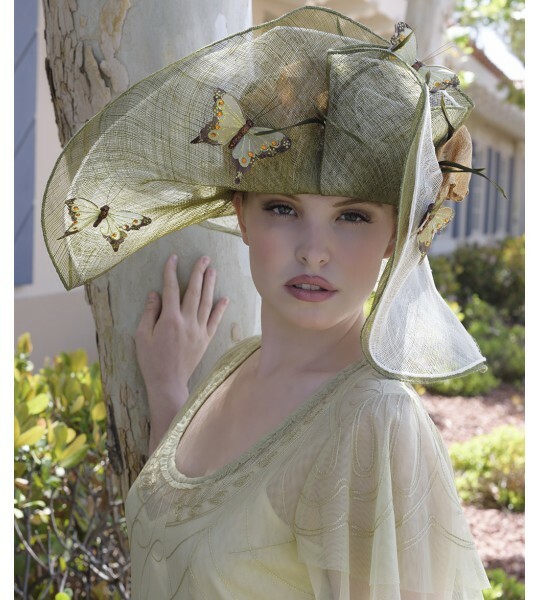 Butterfly Dreams Hat by Louisa Voisine Millinery. Fast worldwide delivery. Click or call 323-592-9172 for more info. 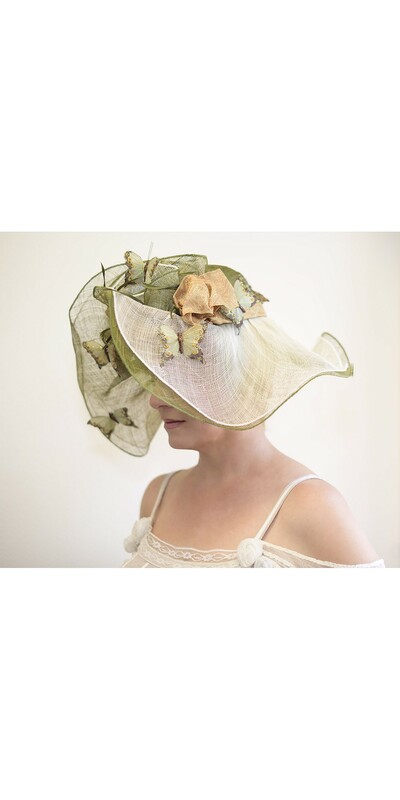 The muted and earthy tones of this Butterfly Dreams hat by Louisa Voisine Millinery are accented by vivid orange gems in the butterflies’ wings. Its shape has no equal, evocative of the goddesses of nature.